While it’s the players from Western Sydney Wanderers FC and Al Hilal that will take centre-stage for the AFC Champions League finals second leg on Sunday morning (AEDT), the influence of the managers will be absolutely crucial. 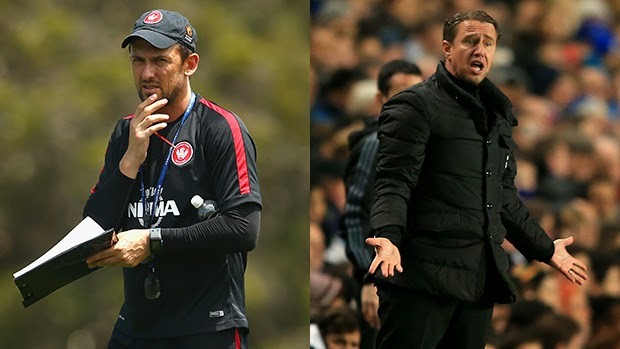 Tony Popovic and Laurentiu Reghecampf are proving themselves exceptional young coaches and the driving forces for their teams’ charge to the title. The tactical battle between these two will be fascinating. As will their preparations leading into the weekend. How does Reghecampf ensure his side don't get hit on the break and concede a hammer-blow away goal? What can Popovic do to shut out the returning Yasser Al-Qahtani and the Al-Hilal strikeforce? These and more questions will be answered on Sunday morning AEDT in the AFC Champions League final second leg in Riyadh.